Order in the next 5 hours 32 minutes for delivery on Tuesday, April 30. 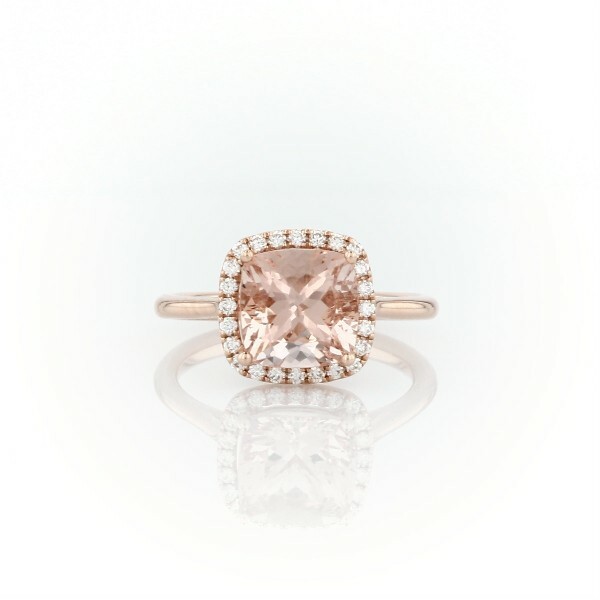 Exquisite in every sense, this gorgeous morganite gemstone ring features a halo of surrounding pavé-set diamonds and striking 14k rose gold. To prevent damage to this delicate stone, we do not recommend this ring for daily wear.